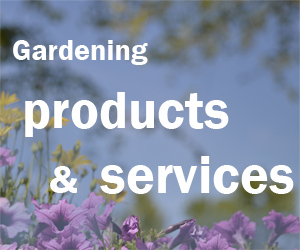 We’ve had a frost, but that doesn’t mean you have to abandon flower gardening for the year. You can stretch the season well into November with frost-tolerant annuals. While many people are familiar with mums and pansies, there are many more choices, such as the straw flower, seen here. 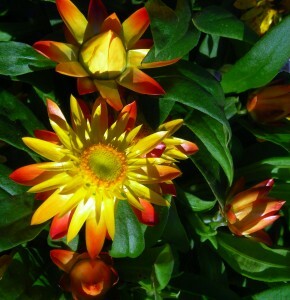 “Many people have them as annuals during the summertime, but they don’t realize the straw flower is frost tolerant,” said Mark Yadon, vice president of Mischler’s Florist and Greenhouses. The straw flower’s blossom closes up at night, protecting it from a frost, he explained. You can purchase frost-tolerant annuals now to create a new container planting, or use them to fill in spots in your garden, window boxes or other already established containers. 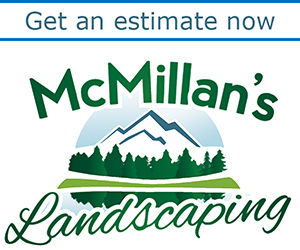 The plants will be available only for a couple more weeks, Yadon said, so you should get them while they last. 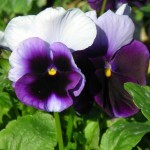 The best time to purchase frost-tolerant annuals is actually in spring, around April 1. 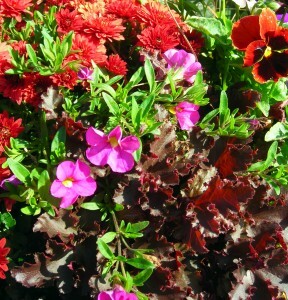 The container at left features mums and pansies in red, brightened by pink million bells (Calibrachoa). The purplish leaves at the bottom of the photo belong to Huchera or coral bells, which is a perennial and will keep its foliage throughout the winter, Yadon noted. Other perennials, such as hens and chicks, can also be used successfully in containers. Many herbs can tolerate some frost, he said. They include sage, thyme, parsley, chives and mint. 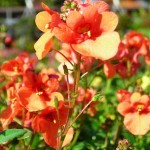 Diascia, pictured at right, is a small, delicate flower, but can stand up to cold temperatures. It comes in various colors. 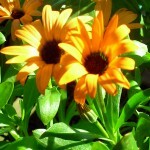 At left is an Osteospermum daisy or African daisy. 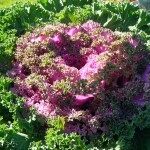 Don’t forget about ornamental kale, seen below right, which can be used in containers as well as in gardens. “People don’t use this enough,” Yadon said. He has had kale plants last through Christmas. They’ll be covered in snow and ice, but when the ice melts, the kale plant will still be there, he said.